As a practice you want to set yourself apart and show your customers and staff that you are a business with a big heart. Many practices are deciding to support Bridge2Aid Australia by signing up as a Practice Partner and using this as a way to distinguish their brand, and support some really vital work in the developing world. Our Practice Partners simply agree to sponsor training for one specific health worker in emergency dental care. We’ll send you pictures of the worker you have pain to train and updates to share with your staff and patients. 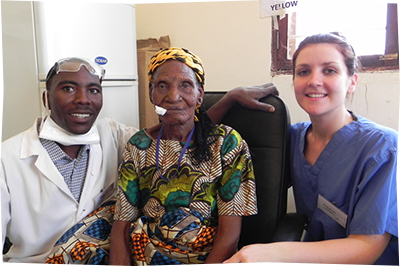 Becoming a Bridge2Aid Practice Partner is your opportunity to have an impact on the millions of people currently living with no access to safe emergency dental care in East Africa. People like 14 year old Joseph, from the Geita district in Tanzania, who struggled at school because his debilitating toothache made it difficult to sleep, and therefore concentrate on his work. Because of the lack of access to safe treatment, Joseph lived with pain for two long years. A 2 hour walk to Nyangw’ale Health Centre following Bridge2Aid Australia’s dental training programme resulted in safe treatment and a restored health for Joseph, but there are still millions more that remain in pain. Develop your profile, inspire your team, outclass the competition and strengthen your brand by choosing one of our Practice Partner packages. We can supply stories and pictures of the health worker that you are help training as well as collateral to use in internal and external PR. Gold Practice Partnership: A $5500 payment to sponsor the training of one health worker. Silver Practice Partnership: A $3000 payment to cover half the cost of training one health worker. Bronze Practice Partnership: A $1000 contribution towards the training of a health worker. To find out more about joining Bridge2Aid Australia as a Practice Partner please email Shaenna-Shaenna@bridge2aid.org. We’d be delighted to hear from you.